Easy with some rocky footing. 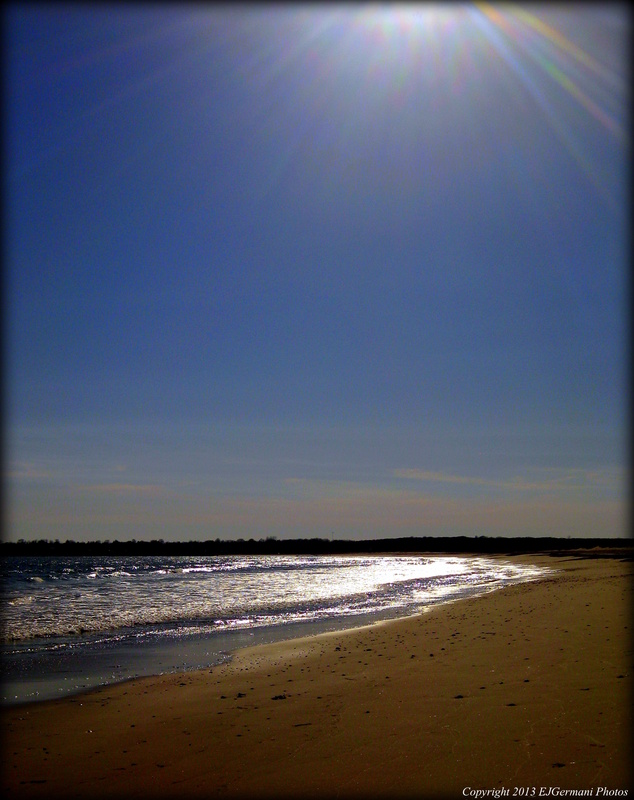 There are few things better than a stroll on the beach after a long day at work, and this walk did the trick. The beach is in pretty good shape six months after Hurricane Sandy came barreling through the area. I had stopped here about a month ago and there were still signs of the storm. The parking area now is the only area that still has signs of the storm. I parked in the small lot at the end of South Shore Road and started walking easterly through South Shore Beach before coming to the Goosewing Preserve. The preserve is a stretch of beach along with a few ponds that serve as a sanctuary to some native birds, piping plovers to name one. 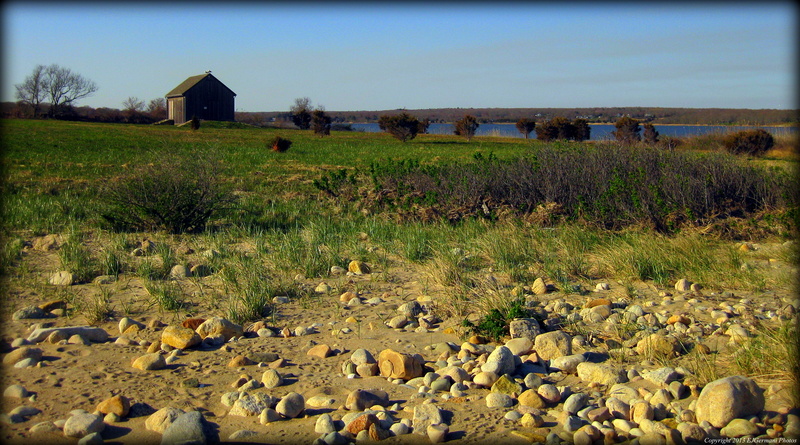 Just after the weather worn preserve building I turned to the left a bit and followed the edge of a roped off area to check out Quicksand Pond. Most of the dunes here are roped off to protect nesting birds. After seeing the pond I then continued walking down the beach to its rocky end which is actually in Westport, Massachusetts. From here on a clear day you can see the towers at Gooseberry Island just south of Horseneck Beach. The taller one appears to be a lighthouse, but it is in fact a military watchtower. At this point I turned around and retraced my steps back to the parking lot. Along the way I saw several piping plovers and some sea life on the beach. The view of the ocean front farm is quite spectacular when heading back. If you would like to add an additional half mile worth of walking you should check out the nearby Marvell Preserve.